The full formula behind Outbreak Nutrition’s hyped muscle builder Build, has finally been revealed and it does look promising. The brand has brought together a combination of ingredients and doses that we don’t recall seeing in any other supplement. Outbreak Nutrition Build is a recompositioning type muscle builder that features a handful of ingredients to provide a handy combination of benefits. The product is designed to help you increase lean muscle mass as well as decrease fat, so its essentially a muscle building fat burner. The formula behind Outbreak Nutrition Build is based around the proven ingredient, Mediator phosphatidic acid. The brand has included the compound at its full amount of 1.5g (750mg active) per serving, although as mentioned, there is more to the supplement than just phosphatidic acid. 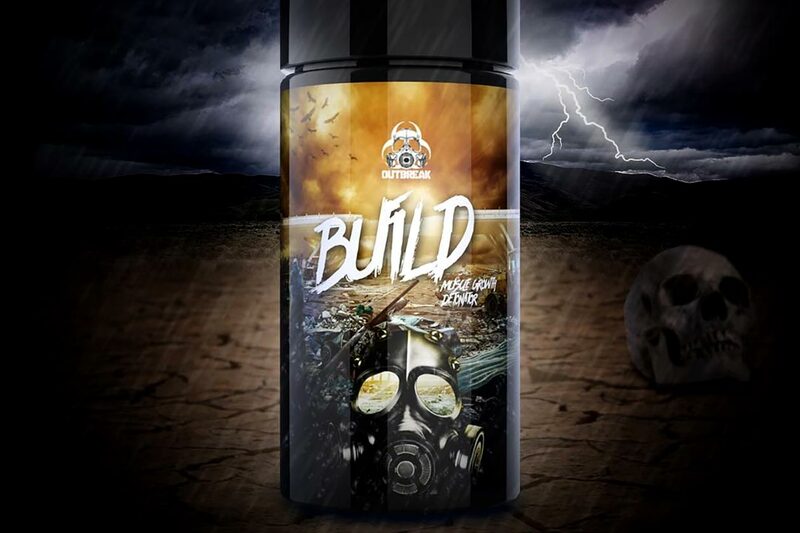 Alongside the above ingredient, Outbreak Nutrition has packed Build with four other compounds. Also in the mix is 300mg of rosemary extract for 50% ursolic acid, 75mg of laxogenin (5-alpha-hydroxy-laxogenin), 200mg of pomegranate for 80mg of active ellagic acid, and lastly, 50mg of AstraGin to enhance the absorption of everything. Outbreak Nutrition plans on launching Build in the one 120 capsule bottle size, which is enough capsules for 20 servings. That 20 servings is intended to last the usual 30 days as its directions say to only take the product on training days, although if you train more than five days per week, you will obviously run out sooner. The promising Outbreak Nutrition supplement is expected to be hitting stores sometime soon. When it does eventually become available, the brand has said it will have a very competitive price or at least compared to other phosphatidic acid supplements, at around $59.99 per bottle.